A memo to Leland Green from Martha Berry about the exact music choices to be performed at the chapel services that day. 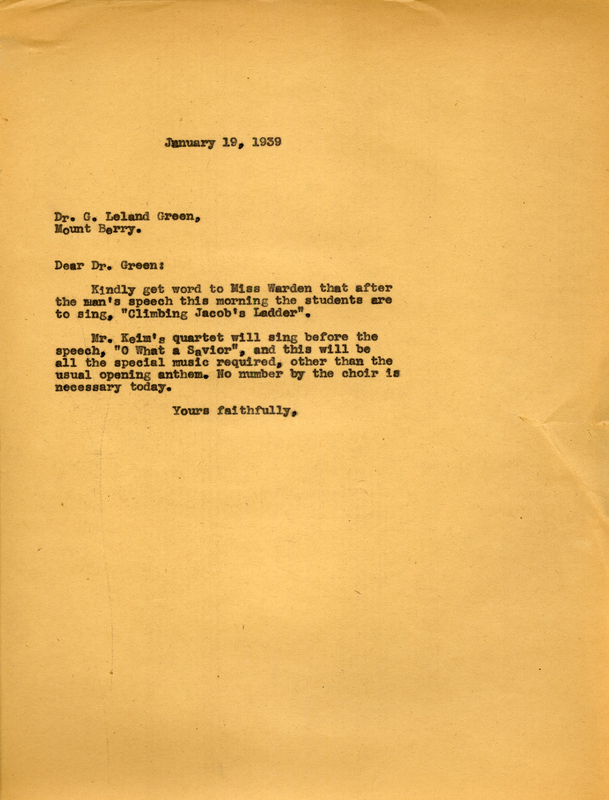 Miss Martha Berry, “Memo to Leland Green from Martha Berry About Music at Chapel Service.” Martha Berry Digital Archive. Eds. Schlitz, Stephanie A., Justin Karch, Jessica Hornbuckle, et al. Mount Berry: Berry College, 2016. accessed April 22, 2019, https://mbda.berry.edu/items/show/15010.